Best known as the guitarist for early MTV-era hitmakers Toto, Steve Lukather remains one of the world’s top session men, having played on well over a hundred recordings by a wide variety of artists over the years. Best known as the guitarist for early MTV-era hitmakers Toto, Steve Lukather remains one of the world’s top session men, having played on well over a hundred recordings by a wide variety of artists over the years. Born in Los Angeles, CA, on October 21, 1957, Lukather discovered rock music the way just about every single other young U.S. citizen did during the ’60s — via the Beatles. Starting off as a drummer and keyboardist, it wasn’t until his father purchased Lukather a guitar that he found his true musical calling. At first self-taught, Lukather eventually sought the help of older guitar-playing classmates, as well as a formal teacher, which led to an interest in becoming a session guitarist (courtesy of drummer Jeff Porcaro and keyboardist Steve Porcaro, both of whom attended the same high school as Lukather). Right around the time Lukather turned 20, the guitarist was invited to join the Porcaro brothers in a pop/rock band comprised primarily of studio musicians, Toto (which also featured singer Bobby Kimball, bassist David Hungate, and keyboardist/singer David Paich). While Lukather would join the band, he also managed to maintain his busy session schedule, playing on albums by Leo Sayer, Boz Scaggs, Alice Cooper, Barbra Steisand, the Pointer Sisters, Cher, and Cheap Trick during the late ’70s. Specializing in the same mainstream radio rock sounds as Foreigner and Journey, Toto scored a hit right off the bat with their debut album, 1978’s Toto, which cracked the U.S. Top Ten, as did one of its singles, “Hold the Line.” Despite the immediate commercial success, many critics gave Toto the tag of being a “faceless slick band,” and it appeared as though it was a fitting description, as Toto’s next two releases, 1979’s Hydra and 1981’s Turn Back, failed to match the artistic and commercial success of their hit debut. Just as it appeared as though Toto would continue their slide off the charts, the group issued one of 1982’s biggest albums, the Grammy Award-winning Toto IV, a Top Five album that spawned such monster hits as “Rosanna” (number two) and “Africa” (number one), as well as a single that Lukather penned entirely himself, “I Won’t Hold You Back” (number ten). The same year, most of Toto was invited to play on Michael Jackson’s Thriller, one of the biggest-selling albums in pop music history. As a result, session work poured in for Lukather, as he played on ’80s-era recordings by Elton John, Herb Alpert, Warren Zevon, Chicago, Lionel Richie, Joni Mitchell, and Neil Diamond, among countless others. Toto continued to issue albums on a semi-regular basis, but after deciding to part ways with singer Kimball after Toto IV, the group was unable to sustain their success. 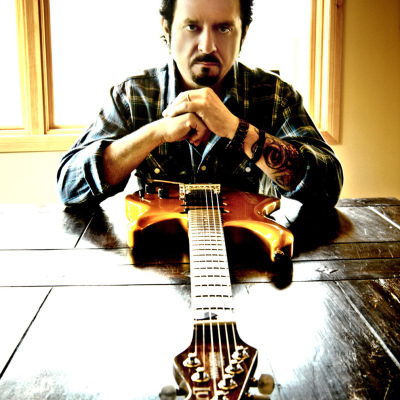 Despite juggling his busy schedule between session dates and Toto, Lukather managed to also launch a solo career during the late ’80s, with the release of his 1989 debut, Lukather. Further solo releases followed (1994’s Candyman, 1997’s Luke, 2001’s Grammy Award-winning collaboration with Larry Carlton, No Substitutions, and 2003’s Santamental), as did further sessions (Bob Seger, Rod Stewart, Spinal Tap, Van Halen, and the Yardbirds).